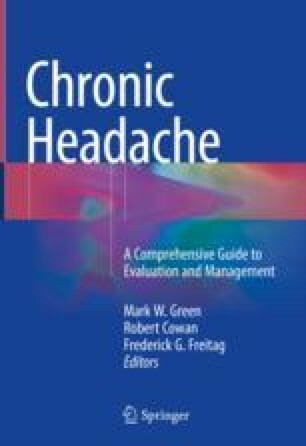 Although the majority of chronic headaches are primary in nature, secondary underpinnings must be first considered to limit morbidity and mortality. Some may develop abruptly, while others will progress gradually over several weeks to months. Perhaps the most common chronic secondary headache in clinical practice is that following injury to the head or neck. Intracranial vascular malformations may cause headaches, and chronic headache may result from prior stroke, venous occlusion, arterial dissection, or intracranial hemorrhage. Giant cell arteritis should be considered in all subjects over age 50 with chronic headaches. Disorders of cerebrospinal fluid pressure such as intracranial hypertension or hypotension often present with chronic head pain. Brain tumors may aggravate an underlying primary headache condition or provoke a new headache profile. A key complaint from those with symptomatic Chiari malformations is headache. Systemic conditions such as hypothyroidism and local disease of the eye, ear, or paranasal sinuses may also cause headaches often in association with other physical examination abnormalities. Imaging of the head and/or neck, typically with MRI, is the most valuable diagnostic tool in the evaluation of secondary causes of chronic headache. Vascular imaging, lumbar puncture, and serum studies (thyroid function tests, ESR, CRP) may be valuable in select circumstances. Management is dictated by the underlying pathology.